Science's Less Accurate Grandmother: Review: The Transformers Classics, Vol. 4 by Bob Budiansky, Jose Delbo, et al. Review: The Transformers Classics, Vol. 4 by Bob Budiansky, Jose Delbo, et al. If I were a Decepticon, I would clearly be Ratbat. I gotta get me a Ratbat toy. But the Headmasters clog up an already overcrowded book, and there's not too much to inspire here, until the very end. The four-part "The Underbase Saga" starts off kind of dumb when Jesse infiltrates a Decepticon base disguised as a beach to rescue Buster, who has become a total waste of a character by this point. (I think he spends this whole volume as a hostage.) 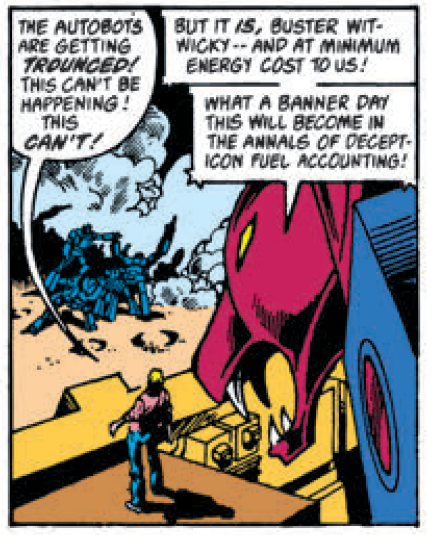 How the Decepticons could get away with this strains belief, even in this comic. What does she even get out of a relationship with Buster, anyway? 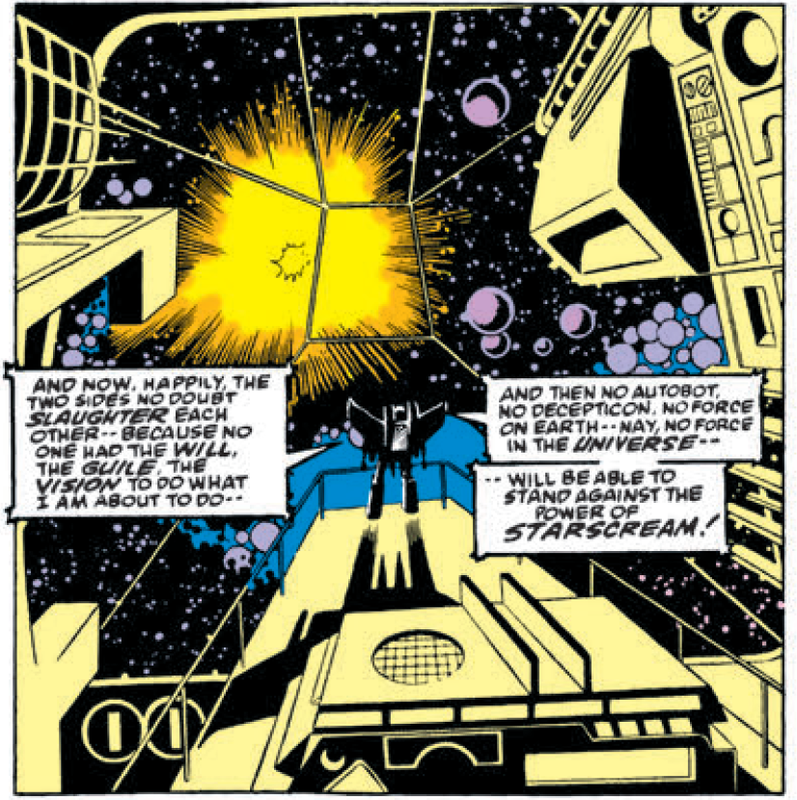 It all becomes worth it, though, for Starscream ascending to ultimate power. Previously, he's been a big nonentity in this series, but I always enjoy a good supervillain-on-the-way-to-godhood rant. If enjoying this is wrong, I don't want to be right. It's not Bob Budiansky's best story, but it is his best in a long while, and a fitting subject for the climax of fifty issues of The Transformers. In Two Weeks: Though there are three more volumes of The Transformers Classics, that was the last in the IDW Humble Bundle, so I'm skipping ahead quite a bit-- to what happens after the war in Regeneration One!